If you use firefox, you probably already know that firefox is much safer than other browsers, it's also highly customizable with themes and addons. Have you used the "Live Bookmarks" feature of firefox? It's a great time saver. firefox let's you bookmark the feed of the site/blog you are visiting as a "Live Bookmark"(Provided it publishes one). Everytime you explore your bookmarks, the feed is updated and headlines are shown in a submenu. After the page is loaded, look for the "dish" icon on the statusbar. Hovering your mouse over the icon will show you if the site/blog publishes it's feed and clicking it will prompt you to save the site as "Live Bookmark". Once you are done saving, take your mouse to the "Bookmark" menu and explore the bookmark you just added. Firefox will fetch the feed for you and you will never have to fire up your standalone/web based feed readers anymore. Never used FireFox? There is always a first time sometime. 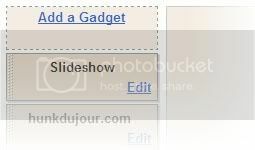 Whenever you need to post an image on your blog, you will need to upload a photo to blogger directly. That however does not give you much freedom to work with the image and even renaming the image is not quite possible. 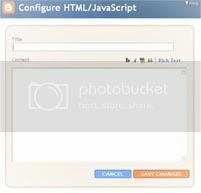 It is therefore recommended to have a Image Hosting account for use with your blog. The good news is that there are many free image hosting providers that give you good features at absolutely no cost. My personal favourite is Photobucket, but below is a list of other free image hosting providers that you can use to post images on your blog. Many of them are now allowing free video hosting as well. Some of them will not require you to register with them too. After you login with your username/password, you will be in your dashboard area. Scroll down to the bottom of the page and find the link to "Add Website Profile". On the next screen select the option to "Add a profile for a new domain". Click continue and on the page that follows, type the URL of your blog. This is the code that you need to copy/paste on your blog. 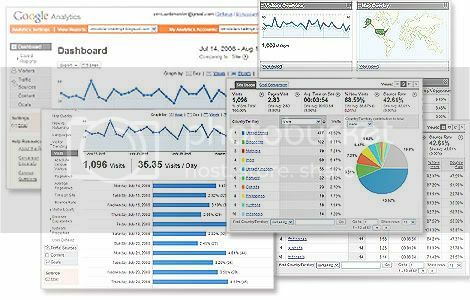 We are now going to install google analyics tracking code to your blogger blog. Go to http://www.blogger.com [ Opens in a New Page ] and login with your id/password. Once you are logged in go to your dashboard, where you have to click the "Design" "Layout" link(beside the settings link) of your blog. make sure you are on the "page elements" sub-tab, where you can easily add and arrange page elements. This will open a final popup where you paste your code(your google analytics code) under the "content" textarea. 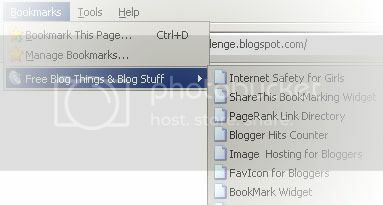 I prefer not to give it a title because the code is invisible, so leave the title field blank and click the button to "save changes"
Another free service from http://www.sharethis.com offers a bookmarking widget for your blog(s). 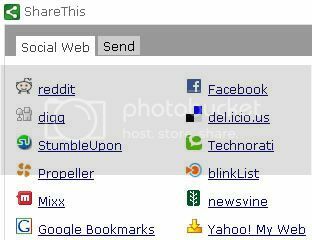 This bookmarking widget allows the visitor of your blog to bookmark your blog in any of the popular social bookmarking sites, much like the widget from http://www.addthis.com ( read the post here for details ). you can also customize the widget to match the "look and feel" of your page. Officially, every blogger has it and even if you don't see it, its still there, collecting the data behind the scenes and giving the real picture to the bloggers who have the knowledge of SEO. All bloggers whether professional or not should know about Search Engine Optimization and the best way to start is to add a good hit counter(or webstats tracker) on your blog. Once you install a Hit Counter on your blog, you can get lot of useful information about your blog. 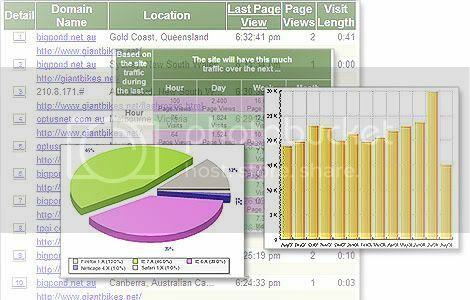 like Popular Pages, Referring Pages, Keywords, Geographical location of visitors, Browser Statistics etc. 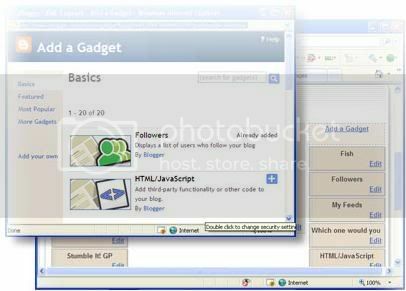 Although there are several free "Hit Counters" from which you can choose from, there are three services which are the most popular with bloggers. StatCounter, Google Analytics and Sitemeter.